Not short of twisting things up in order to gain outstanding results one of this months most anticipated sneaker packs is set to release online and in-store at Stuarts London first thing tomorrow. 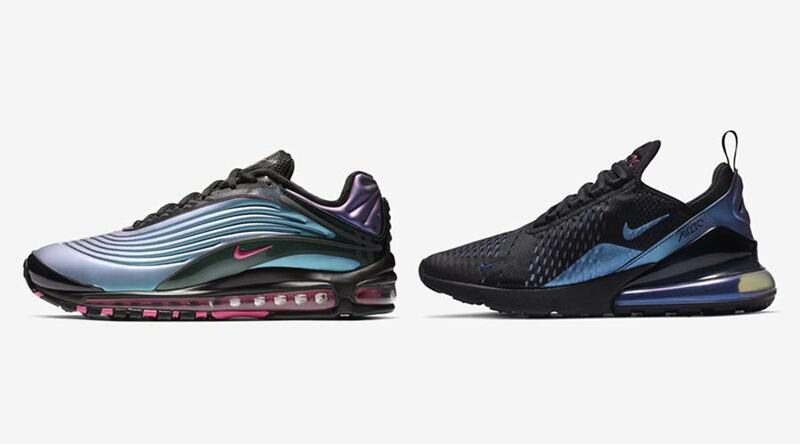 Aptly named “Northern Lights” or “Throwback Future” the series see’s Nike turn to their Air Max archives from 1995 onwards in order to dress the Air Max 95, 97, 270, Air Max Deluxe and two VaporMax silhouettes in a futuristic metallic effect black and laser fuchsia colourway. Stocking the Air Max Deluxe and Air Max 270 issues make sure you grab yours whilst stocks last by keeping an eye out on our new arrivals early tomorrow morning.